If you are wearing makeup daily, you will know how important it is to remove the makeup at the end of day. Getting all makeup residues off your skin is a really essential step before skin care routine. If your skin is not properly cleaned, the skin care product you put on your face is just a waste; therefore, makeup remover is a must have product. If you want a very quick and clean removal step before going to bed, the below 10 best makeup removers will definitely couch your attention. 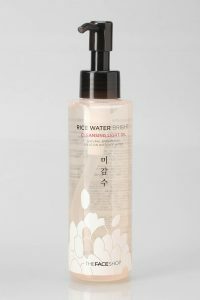 The Face Shop rice water bright cleansing oil is made of rice water and moringa oil giving you a fresh skin. The cleansing oil has a very light texture with nice floral rice scent. Not only can it remove the makeup, it can also brighten up the skin tone and reduce the blemishes. 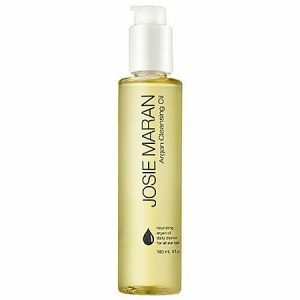 Josie Maran cleansing oil rich in natural ingredients, safflower seed, almond, grape seed oil. It removes the surface makeup and also the impurities under the skin layer. It has a very nice smell and silky texture. This product may not really match with oily skin. Consist of many great natural formulars such as olive oil, sunflower seed oil, soybean oil and rosemary leaf oil, InstaNatural deep pore cleansing oil can remove any kind of makeup easily. It brings more moisturizes to the skin, hence making the skin less oily. It does work with acne prone skin and also help remove the blackheads, especially on the nose area. If you were a kind person who loves natural makeup, we would recommend the Shiseido Sengansenka Perfect Oil Cleansing Makeup. The texture of shiseido cleansing oil is watery which you would not feel greasy at all. As its texture is quite lighter than other oil cleansing, it can remove base makeup, but not waterproof eyeliner. Skin Food is a Korean cosmetic brand since 1957 that produce cosmetic involving many nutritional values of food. 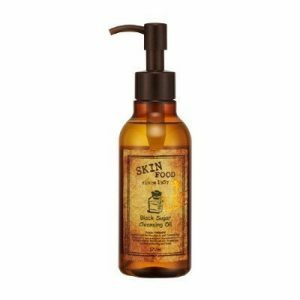 Skin Food black sugar cleansing oil quickly dissolves makeup and leave your skin soft and moisture. This cleansing oil best suit with dry, combination and normal skin. 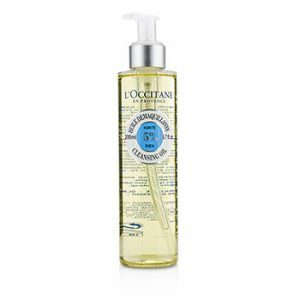 L’Occitane shea cleansing oil has contains sun flower oil and 5% of nourishing shea butter used for removing makeup and enhance the skin softness. 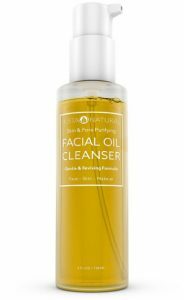 This cleansing oil works best with dry skin without tighten up your skin. Parabens and mineral oil are not formulated in this product. The Body Shop is an organic cruelty free cosmetic brand in the US. The camomile cleansing oil works best with dry skin to remove makeup and soften the skin. Camomile silky cleansing oil has a pleasant smell, which means it does contain some fragrance ingredients. 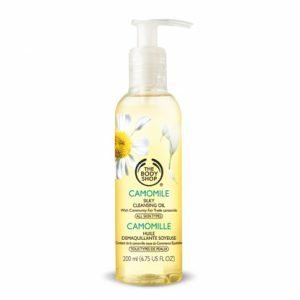 However, if you were looking for an effective and very reasonable price cleanser, we would highly recommend this Body Shop camomile silky cleansing oil. The only one con of the product is the packaging may easily leak out. 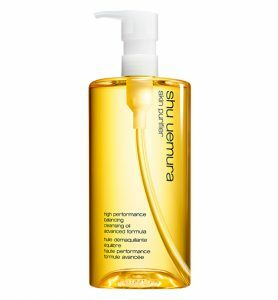 Shu Uemura is famous for its high performance cleansing oil which works really well to remove the heaviest makeup. This cleansing oil contains mineral oil so that you have to emulsify to ensure it does not clog the pore. After using Shu Uemura cleansing oil over dry face, you need to emulsify by adding few drops of water and gently. The Shu Uemura Green Tea Extract (cleansing beauty oil premium A/O advanced formula) is more suitable for oily skin type. Shu Uemura cleansing oil is a great product for removing makeup, but one downside of it is the price is quite worthy. DHC deep cleansing oil is local Japanese brand. 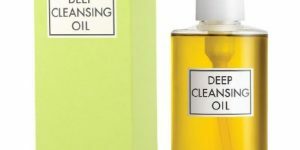 DHC deep cleansing oil is an organic product that contains olive oil and vitamin E, which helps to completely remove all makeup without making you feel greasy at all. 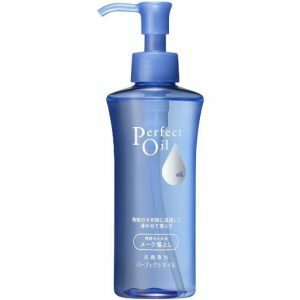 This cleansing oil works really well to remove heavy makeup in just few seconds. DHC deep cleansing oil has no scent at all which is a great plus to many sensitive skins. It is a great makeup remover with very reasonable price. The number one product ranking here is much different from all the above listed products. It is completely not a cleansing oil, but a water cleansing. The reason why Bioderma Crealine H2O Water, aka “sensibio H2O”, is ranked as top 1 product is not only it is a great makeup remover with very affordable price. 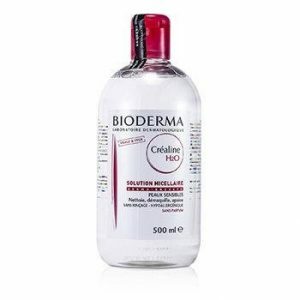 Bioderma, originally made in France, is popular for its sensibio H2O. Every day, Bioderma Crealine H2O water is produced from 80K to 100K bottles, which means a bottle of Bioderma Crealine is being sold every 3 seconds. Sensibio is a very gentle makeup remover and also can improve skin immunity. It is recommended to soak a cotton pad with the sensibio H2O and gently remove your makeup. This product has no scent and color at all which is very best used with sensitive skin. For the cleansing oil makeup remover, the right way to use it is to pump the cleansing oil (2 full pumps for heavy makeup and 1 pumps for light makeup) on dry hand, then massage on dry face for not more than 30 seconds, then rinse it off using lukewarm water. You can also clean your face with your favorite facial foam to make your face feel fresher.